Note: Budget 2016 has increased service tax rate from 14.5% to 15% by levying Krishi Kalyan Cess at 0.5% . This change will be effective from 1st June, 2016. Till that you can use chart given below to decide service tax rate. Accommodation booking 10,000 90% 1000 150 1.50% No cenvat credit for input, input services or capital goods.Invoice includes amount of accommodation. tour (other than above) * 10,000 70% 3000 450 4.50% No cenvat credit for input, input services or capital goods. Transport of used household goods by GTA* 10,000 60% 4000 600 6.00%* cenvat credit on input, input services and capital goods are not available. * changes applicable from 1st April, 2016. For detail article about service tax changes applicable from 1/4/16 read here. Note: Service tax rate 14.5% is applicable for period during 1/4/2016 to 31/5/2016. Refer point of taxation article for further clarification. In above chart, replace 15% with 14.5% in above chart to calculate old rate. Please note that effective rate is for easy calculation. You can use effective rate direct on amount (column 1)- bill charged. So service tax payable is column 1 * column 4. Abatement is partial exemption from service tax. There are different rates of abatement for different services. How abatement reduces amount of service tax payable? Taking one example, suppose Mr. Kapil provided taxable services worth Rs. 400000 to Mr. Rahim. Service tax rate is 14% but abatement available is 70%. Conditions: No cenvat credit has been availed. Under notification no. 26/2012, many services are fully exempt under exemption from mega notification and negative list of services. We will soon present list of exemption services. Enter your email address in sign up form so that we can mail you when we publish the post. Remember that no service tax is payable when service is fully exempt. It is not compulsory to avail abatement. service provider can pay service tax on full amount. The rate will be 12.36% of value that time. You can avail small service provider exemption if your yearly turnover of taxable service is less than Rs. 10 Lakhs. For more details. 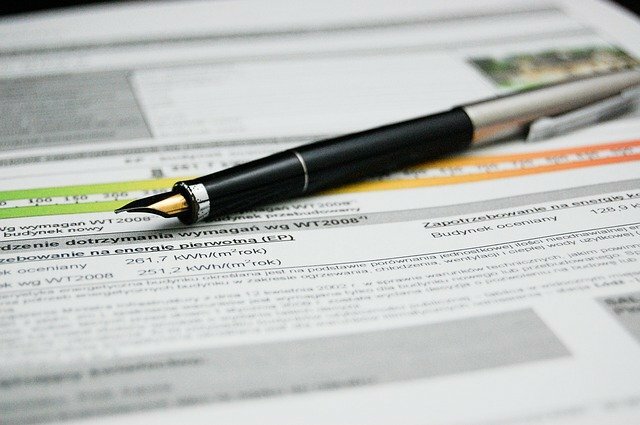 Read the article – small service provider exemption. The service tax rate chart for 2016-17 is updated on 31/5/2016 after applicability of swachh Bharat cess and krishi kalyan cess covering budget 2016 changes. Use this chart for transaction beginning from 1/6/16. Refer point of taxation rules for more clarification. Use this link to stay updated about service tax circulars and notification: Service tax government site . Share this article on social media to encourage me to write more. I m having manpower contract at the scheduled co-operative bank, I m charging 12.36% on the actual bill. Should I charge 14% onwards? Is any reverse charge mechanism? My firm is a PRIVATED LIMITED and that bank is LIMITED. Please answer me through my mail id. Thank you. As you have pvt ltd company and receiver bank is limited company, no reverse charge mechanism will be applicable. Service tax rate is 14% from 1/4/2015. Charge 14% in bill on your service. I ll publish on blog soon. I have recently taken up a retainership assignment with one Public Limited Co. @ 25 Lakhs pa. The Company is in Pharma Business and my services are towards their Quality System improvement. My question is at what rate the service tax will be charged – whether any exemption will be permitted. We have Pvt Ltd company and provide Software consultancy services to other companies which are Pvt Ltd. Charge 14% from 1st june, 2015. Service tax rate for consultants is 14% from 1st june, 2015. If invoice is issued and service is provided in may 2015, service tax rate will be 12.36%. Can you give me some details about your service? What is the new service tax rate is Hotel and GuestHouse ? For hotel and guesthouse with supply of food – 9.8% of total bill with no cenvat credit available. For hotel and guesthouse without supply of food – 8.4% on total bill with no cenvat credit. 1) whether the TDS deduction shall be on Invoice amount or the amount excluding the ST amount. 2) If ST is paying as said above, what is the ST amount? 3) Please send a example calculation sheet to understand. 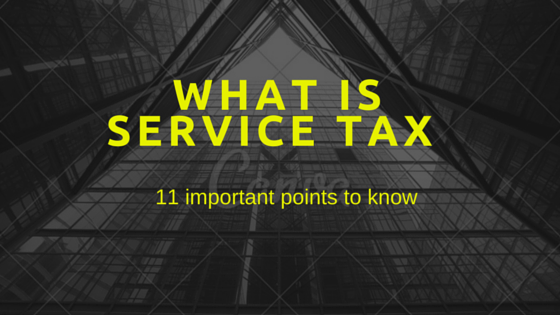 Tds should not be deducted on service tax amount if service tax amount is shown separately in bill. So if invoice is 20000 inclusive service tax at 12.36% ( Assuming shown separately). Tds will be 17800 ( 20000/112.36*100) *10% = 1780. If service is provided before 1st june and payment is made also before 1st june, service tax rate is 12.36% for that service. Mem, we are pvt ltd company (works contract sercices like.. Errection, commission) business like LPG Reticulated System in Flats. So what is our service tax payable. 5.6% or Abatement Scheme ? Yes, rate will be 5.6% and do not avail cenvat credit. Please provide service tax information about rent on buildings, we are paying 71500/- per month. agreement 6 years.per year 858000/-. please provide service applicable or not. I have hired a company to create an mobile app and they said if I have my own registered firm, then the tax would be just 4% and if I am an individual, it would be 14% service tax. Please suggest me if I need to register my company or is there any other alternative for this. There is no any reverse charge in IT related service. Ask them under which service type ( Name of service) they are charging you bill. Service tax will be 14% no matter you are individual or Company. Corporate form needs so much compliance and higher tax rate. Better is continue with proprietorship until your turnover goes high. Dear sir, I have sales RO plant to government offices. Service tax and TDS is applicable for me or not. I have purchased raw materials and give RO plant. You are covered under work contract service. Your work is original work and I have already given chart for it. Please go through the chart. It is updated with budget 2015 changes. 14*40% = 5.6% on total value. Hello madam, can you please tell me how much is the service tax for marriage halls? If it is only renting of marriage hall, it is 14%. In the case of partnership company while carryout of erection work inclusive of materials (Consumables & Electrodes etc) The party has to claimthe service tax 50% on 40% of Service Tax. i.e only 2.8% instead of 14%. If you are partnership firm and providing service to company, rate of 2.8% is correct. Rs. 9520 is required to charge in bill and remaining Rs. 9520 is required to pay by company itself. We had booked an apartment 2 years ago and this is nearing completion now . The Builder has sent us a demand for payment of service tax @ 3.5 % on the flat cost . Is he right in charging us ? Cause I thought we are buying a property and not receiving any service . If you are not purchasing ready made flat, service tax will be applicable for construction service. If service provided before june 2015 half off the amount paid in june than what is the rate ? and amount paid in may itself @12.36% S T for that may i receive the service in june and onwords….. If service is provided in before june and half payment is also paid before june, at that portion the rate is 12.36%. 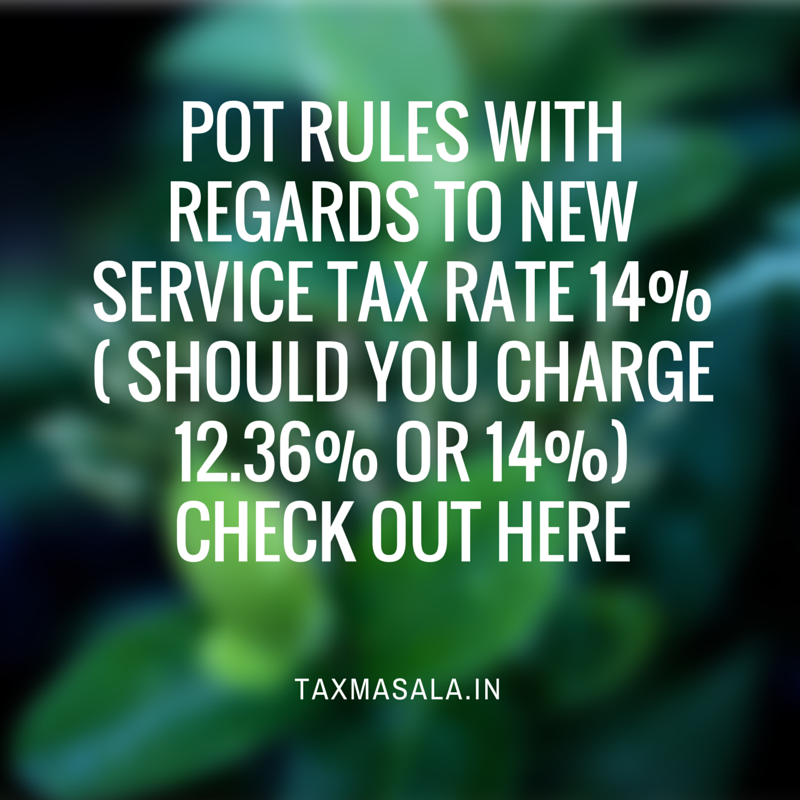 If bill is raised and service is provided before June 1, charge service tax at 12.36%. A Company has given work order for drilling at mines site and also give core box set [measuring of drilling depth], charges for drilling Rs. 4000/- per meter & 1000 for core box supply @1000/- per nos. how does prepare bill by party of service tax and how many liability of service provider and service receiver,please give as example through billing formate . Service tax at 14% on drilling activity at Rs. 4000 and for core box supply, vat will be applicable as per your state vat rules. Segregation is better in this case. No. there is no cess in 14% rate. We are a Pvt. Ltd. company and we had hired cars for our official. Payment made is Rs. 37,800/- in May 2015 & RS. 6975/- in July 2015. What will be the Service tax / RCM liability. For payment made before 1st june, rate is 12.36% and for payment made in july 2015 and invoice raised after july 1, the rate is 14%. RCM will be applicable if you receive service from individual, HUF, partnership firm, AOP, BOI. The RCM rate is 50% of service tax rate if value is non abated and 100% if value is abated. We are a C & F agent of a company .We have a agreement where service charge is fixed an amount of Rs.40000 per month including Godown rent for Rs. 12000/- month. In this condition how much Service Tax charged upon us. 14% on 40000 as you have paid go down rent as reimbursement charges. I am a work contractor and does the small maintenance works of the Hotels. I had provided a service of transporting of debris waste from the hotel premises to the dumping area. So can you please help me to understand in this scenario what would be the Service Tax I need to apply on the Net Amount ? You have not provided work contract service but transport service by road. You are required to charge 14*30%=4.2% on bill and do not avail cenvat credit. ALso consider about small service provider exemption. my question about transport good by rail service . If I provide service to customer and my transaction value is 10,00,000/- in 3 month for provide the service. The calculation Is Right or Wrong………….?? Service tax is 42000 at 14%. Don’t add 3% on it. Other things are ok.
How to Calculate the Penality if returns are not filled..
We ded the tds for Mar’15 (TDS Rs.30,000) and Deposited the same at 24.04.15, but we forgot to return the same till date. what is the service tax structure in e wallet services…?? Yes, cenvat credit is available to hotel industry but you cannot avail abatement while using cenvat credit. Calculate service tax on taxable value at 14%. Please specify your service. I wanted to know that service tax on postpaid bill of mobilephones are charged on the total bill or 40%of the total bill? Please help me out over this….. It depends on the calculation and cenvat credit availability of service provider. Generally it is 14% on total bill. Service Tax is aplicable for Commission On Brokerage..
Service Tax is Applicable on Electronic Media, ?? if yes then can i get a reference note. What is the exact service? Actually Our’s is ad agency, we have deducted service tax for client (Hospital ad) , but one client’s CA informed that service tax is not applicable on our service. Hiii mem.. I m providing advertising services… What is D effective rate of service tax? I am currently working in an IT company, so i was supposed to purchase some licensed software. i found out a vendor- he is charging 4% VAT and 19 % Service Tax, i am not sure why he is charging me 19% of ST as the rates for service provided is 14 % only. If you are purchasing inbuilt software, vat is required to charge. Service tax should be charged only if you get developed software as per your requirement. You can get cenvat credit for service tax paid on transportation service IF you do not opt for abatement scheme. If you are corporate and receiving service from individual, huf or partnership firm, you are liable to pay service tax under RCM. It depends of your construction work. Service provided to government for certain construction work is exempt. Please refer mega exemption list of service tax. NO, the rate will be 4.2% as invoice and payment is after june. Sir due to time constrain, we cannot send the example of each service. However, you can ask for particular one service. Our concern is Proprietorship doing fabrication work on contract basis.We are incurring transport charges for the goods received.The service provider is sending bills without mentioning service tax separately in their bills.They are individual transporters.I would like to know (1) who is responsible for the service tax ? (2)Will the reverse charge mechanism be applicable for us ? (3) Kindly inform me our responsibility towards service tax ? Read this article, You will get the answer for the question. Service tax rate for work contract service is different as per type of work contract. if we charge 14% S.T.on Taxable value then what about Education cess & Sec.Edu.Cess.How calculate? NO need to add cess. Madam, I want to know , the Visa purchases from Visa provider company & paid the service tax, Then i sale the visa with adding my commission then I will be payable to service tax? what is the rate for that? Service tax is chargeable on commission portion at 14%. However, I need clear question to give answer. We have give work order for road construction work to contractor. what will be liability of service tax ,service receiver and provider and also deduct tds @2%& 2% wct will applicable. Yeah, I have corrected. Thanks. It is typing error. I have written amount in right column instead of left. i have a manufacturing company and i get a freight bill i want claim service tax credit as per partialy reverse charges rule please send this information on my mail id joginderlalita1327@gmail.com with example. You can avail cenvat credit for service tax paid under RCM. very good tailor made tax rate in showing elaborate view. I have mobile rep. computer rep. and cyber cafe service and invitation card printing work in rural area under one shop roof. do i need registration forservice tax. or TIN no. i also planning to sell spare parts for mobile and computer. For vat, there is different rules for different states. Generally there is exemption limit under VAT. You can check at per applicable vat to you. – Is abatement is available and will fall other categories. Is it is 4.2% on total bill value? Service tax is applicable to tutors. No abatement is available for tution service. Rate is 14%. mam please clear the 1% tds rate of individual and 2% of other. please conform the individual and other. Please elaborate your question. I can’t get you. We have given work order for civil jobs for muroom supply,transporting,spreading of road work.This road is in our mines area. Contractor has not added service tax in their invoice.What will be our liability of service tax and party.It will be civil work or work contract. Please give brief as example.If invoice Amt.1000/- what will be service tax of part of party and our a/c. RCM is applicable for work contract only and when individual is service provider and corporate is service receiver. Please check my article to know about work contract definition as per service tax. Hi We are the consultants for professional training s , registered as firm. We issued a bill with service tax@ 14% ( Rs.73000+10220=83220) to our customer as on 02.09.15. But the payment is doubtful from the customer,Due to the training feedback was very average. Then we have to pay the service tax or not for the above invoice. If the invoice amount rejected by customer after we pay the service tax then what is the solution. i Started Advertising Pvt Ltd Company so please Provide full details of Service Tax. Service tax rate for advertisement service is 14%. However, you can avail cenvat credit. NO abatement available. i am working with a construction company, we have a vendor who is regesterd with service tax and he provides us his roller and JCB on hire and charges 14% service tax, is he charging the correct service tax?, is there any RCM ? and should i deduct the tds @ 2% on the basic service we have received. Service tax rate 14% is correct. NO RCM is applicable. HI,i am a service receiver,what is the new service tax % for Transport of good by road,and explain the new calculation formula. Hi,There seems to be a typo in the chart above : For GTA/Transport of goods by road, abatement should be 70% instead of 75% and effective tax rate should accordingly be 4.2%. Thanks for appreciation and pointing mistake. I have amended it. It is my pleasure to help others in tax matters. Still have some time constrain. Why are you charging 5% vat when you are purchasing at 12.5%? Charge at 12.5%. Service tax rates are corrrect. Please note as per Notification No.08/2015 dated 01/03/2015 the abatement rate is 70% on Services of Goods Transport Agency in relation to transportation of goods. I have already updated it yesterday. But due to some problem, update was failed. Now, it is correct. I have already mention in chart. Please go through. Table given in the post. what is swaccha bharat cess… is it applicable on service tax? Please advice on tax rate if invoice date is 31/05/15 and tax paid under reverse charge @ 12.36% on 06/06/15 , but payment to service provider dt. on 12/10/15 is there liability of diff amount between 14% and 12.36%. How much service tax rate on engineering drafting and designing services. Is service tax rate includes education cess too? It is 14%. It is service tax rate. Education cess is 0%. Thank you. You are very quick in reply. Its helpful. Hello,I would like to know whether we can levy the input tax credit of service tax and deduct it and then can we pay ? Not at all. Input tax credit is different thing. Please refer my 2 articles, you will get answers of your questions. What is the service tax slab for a lodging business and if the room tariff is fixed more than thousand rupees. Service tax rate for hotel is applicable to your service. There is separate rate for hotel without food supply and hotel with food supply. Please note that. Yeah, it is effective from 15/11/2015. Madam,. If bill amount is 1500000 including service tax then how to calculate the main bill amount. what will be it. Please tell me. Ask service provider about rate of service tax. Mail bill = total bill / 114*100. The rate will be service tax rate for manpower supply. Refer the chart. what will the point of taxation under reverse charge for swachh bharat cess?? Is Engineering and Design services in relation to construction of roads and Bridges get any exemption for payment of service tax ? Check mega exemption available for service tax. Ma’m If me received Labour service bill before Swach bharat cess 0.5% on date 15-Nov-2015 and i payment to party how many service tax provide to me behalf them payment. Service tax rate is 14% before levy of swachh bharat cess. how to calculate of service tax @14.5% in an entry pass in tally erp9. Service tax rate on commission is 14.5%. I have a Hotel in Punjab state. the room tariff is between Rs. 700/- to Rs. 1100/-. Please note – I am just renting rooms only, No restaurant and any other services like BAR, banquet etc. My total income from hotel business is approx Rs. 5 lakh in a FY and it is less than Rs. 10 lakh in a fianacial year. Is service tax applicable on my entity business.?? Plz advice. No, sir. It is not possible to send each one details in pdf. However, I will enable print option so that reader can get print of article. I register service tax on 5.6.13. we have not filed ST3 till now. You can claim abatement for construction service I have shown in chart in post. As aggregate value for fy 2014-15 is less than 10 Lakhs, you can use small service provider exemption for fy 2015-16. Read my post http://taxmasala.in/small-service-provider-exemption/ for further guidance. my question in case of service provided by lawyer, at what amount TDS should be deducted if service tax in not separately charged by them in their Invoice? TDS will be deducted at 10% if Legal expenses exceed Rs.30000. we are receiving ( we are service receiver)services from one firm and he is applying full tax that 14.5% Service tax, now we in confusion like does he eligible to claim 100% service tax or we are eligible for 100% ST to pay the govt. I am in the process of building a small 2 storied house for living myself with my family on the land purchased by me few years back. For construction , I have hired a architect & contractor. The architect has charged me 14 % service tax on the fees paid to him (his fees -> 5 % on the cost of construction assuming Rs 2500 psf fixed rate of construction.) Total carpet area is 2221 sq ft + terrace. The contractor is also charging me 14 % service tax, on the 70 % of the total of the services provided to me. (It will also include the subcontracting services he is going to hire). I have read that there is service tax exemption in case of building own house. Do I need to pay any service tax at all (to both architect and contractor) ? If yes, how much I have to pay ? Isn’t it is for contractor to pay the service tax and not me ? if am doing a new residential construction work ( start to end ) how much ST should I charge..? If am doing a new residential construction work ( partial, ie; some volume of works were done by some other contractors )…in such case how much ST I should charge..? Will be great if you could answer these.. I have purchased a ready to shift Flat in a multi story township at Jaipur. Builder has provided me compilation certificate issued on his letter pad and his civil engineer. Further he has applied to JDA for adhiwas (resident) certificate well before agreement date. In agreement he is using the draft format as it was used by him at the time of project starting. I have regularly objected for charging Service Tax. But at the time of registration builder is asking to pay service tax. As per rules there is no service tax applicable on ready Flat or houses. In this situation what remedy is available to me. I am a pvt. ltd. company. I am going to provide IT support and SMS service to schools. May i entitled for service tax exemption under article 66 D(L), Negative List of services. If not, what would be the percentage of service tax if gross income exceeds 10 lack from different schools in a financial year. Now in this budget the service tax has been increased to 15% after adding the Krishi Kalyan Cess. Can you please let us know that now how much would be taxes on the travel services that you have mentioned on the website. An update on this page to new rates, will be appreciated. Yeah, doing update work now. Thanks for patience and visit. Meri shuttering shop hai . Kya is par koi tax hai. Agar hai to Kya . aur uski llimit btae . If tariff is Rs.650 per day and stay 3 days in Hotel Room, total collection Rs.1950/- then what tax will be charge ? my company provides cabs for transfer of goods ..how much tax should i charge on bill ? And what do i have to pay to government?are there any amendments? one of may customer supplier man power for the outdoor carting but is not charges service tax , it is come under the RCM , shall i have to deduction the service tax amount from the supplier and paid to goverment. Service tax return is required to file half yearly. So you are liable to file service tax return in April, 2016. I am transpoter & I have 30 lac tourover. But my party paid service tax on that bill.Yet I have not service tax no. But due to some reason I will have to register in service tax. Please tell me in that condition will I pay receive tax after registration. I am working as junior accounts executive in a Pharma Manufacturing unit. I have a confusion regarding service tax reverse charge mechanism. we r proprietorship firm carrying on construction work under WCT in mumbai. How much VAT & service tax should be charge? Our client is listed co.
We have raised the bill our client rs. 10000+ ST =11450/- but Client is not ready to released the payment. We should be pay the service tax or not. I have mentioned earlier on 16,February,that I am providing IT and SMS service to schools.Is any service tax chargeable on these services to schools,though school( vocational service) is exempted from service tax. Hello Sir/Madam, My works is fabrication & erection ,labour supply etc, whether service tax liable on amount. I own a Flat at Chennai suburban area. The Carpet area is 900 SFT and super built up areas is 1216 SFT. I had entered into a Maintenance Contract for a period of 3 years with the Developer’s Maint Wing. A Service Tax of 14.5% charged from me. The prevailing rate is Rs. 2.50/SFT on the super Built Area of 1216 SFT. The Agency is not showing the Tax portion at the receipts being issued by them. I would like to know whether the Service Tax claimed from me by the Agency is in accordance with the Law. Hello Tarannum, I am having a small company which provides accounting services to clients both Local and offshore. How much should it be. the service tax? I am doing jobwork of Anodising & Powder Coating wherein our customer is sending us Aluminium profiles for coating purpose & after coating we are sending back the same to customer. We are purchasing raw materials for Anodising & Powder coating as Chemicals for cleaning & colour powders for coating. Currently we are charging Vat @5.5% on 75% of basic/net amount & Service Tax @14.5% on 70% of basic/net amount under work contract. But so much customers are asking that we have to charge service tax on 25% of basic/net amount as we are charging vat on 75% on basic/net amount. Taxation is in Karnataka. can you update correct taxation ? we are in other contract and maintenance contract SERVICE, please help me to work out both vat and service tax under composition scheme for this kind of services. We are manufacturer unit. We have remitted payment to foreign co.in Indian rupees. I want to calculated service tax on remitted amount for intellectual property rights other than copy right services head but I am confused on which amount I will calculated actual amount plus TDS amount or only actual amount. Kindly advice me. I am Mutual fund adviser and my brokerage more than 10 lakh so what is the method of service tax payment to current situation and Can we apply service tax number ? We are buying software’s form outside India for R&D purpose and remitting the payment through Bank after deduction the TDS , My question is software purchase form outside India will come under RCM ( i.e Import service ) ? My request is to know what is the penalty for late filing of ER 5 and ER 7 returns for the year 2014-15. The assessee filed those returns on 13-08-2015 and 10-08-2015 respectively instead of 30-04-2015. So i request you to mention the penalty for late filing with relevant rule position. Madam, we are paying commission to people. Do we need to pay Service tax on this on reverse charge mechanism? No, there is no reverse charge for commission service. I am individual service provider and have total turnover of 15 lacs for providing manpower service. I am aware that upto 10 lacs I am exempted from paying ST but in my case do I need to pay ST on remaining 5 lacs? I am Rajsthan Govt.Employee. In Financial Year 2016-17 what would be the Group Insurance Service Tax rate if the Group Insurance Premium for year one time is 220 Rs. Deduction ? what would be the amount of Service tax? Please Send me Latest rate apply from 1st April. It is updated sir and applicable from 1st April, 2016. What is the rate of service for Ethanol or Sugar transportation by road for FY 2015-16? If tour arrangements done for travel in India for a group in USA in Dec 15 (Inbound travel) and received foreign remittance towards the same. What will be the service tax applicability on the same? i have paid service tax – with out interest, my doubt is ST dept. ask interest on interest ? if appicable interest on interest how much? i am canteen contractor in bank premises. kindly tell me that what rate we should pay our service tax. suppose an inbond tour operator provided services in abroad and recd pymt in inr or usd in co. bank account in India……….then should we pay service tax on these kind of services? We have given car on rent for transfer of employee to PVT LTD co.
How many % S.tax will be applicable on this service. Hi, We provide service of electric device fitting as a partner ship form. please suggest me the if service tax applicable or not. and we do have work contract with our client. what is work contract meaning as per law. please suggest. Thanks and regards. Hi we are RWA(SOCIETY ) TURN OVER LESS THAN 10 LAC ,Security provided is also less than 8 lac .he is not claimed service tax on bill. pl tell him we are under reverse Tax mechanism or not. who will be paid service tax. is there is any circular for service tax rate 4.35% on other than tour operator from 1st of April 2016. And under other than tour operator(1.45%) which services are there . I am updating chart soon. thanks. Can i know the rates. I have updated the chart. Please go through it. As per chart mentioned above towards construction service the rate of service tax will be 4.35% i.e 30%*14.5%, i think it’s a clerical mistake…pls update the same. Thanks Sujoyji for bringing my attention toward this error. Thanks for reading carefully. New rate will be 15% including krishi kalyan cess. I ll update article tomorrow. I request all readers to dont mention email, mobile number, address, tax numbers or other personal information in comments. ( For online safety purpose). I only reply through comments and never mail anyone. Can you provide me the definition of tour operator service? if our client provide only accommodation with meal then is it cover under tour operator service? Rate of Service tax for tour operator? Go with this article to get explanation about tour operator service. Madam, I have leased my immovable property for commercial use for RS.1.20 lacs per Month.. Am I liable to collect service tax from leasee? How much? I wish I can help but it is difficult to search and provide all the rates together. However, You can find FY 2016-17 rates from above chart.